Details 2 hr. 13 min. 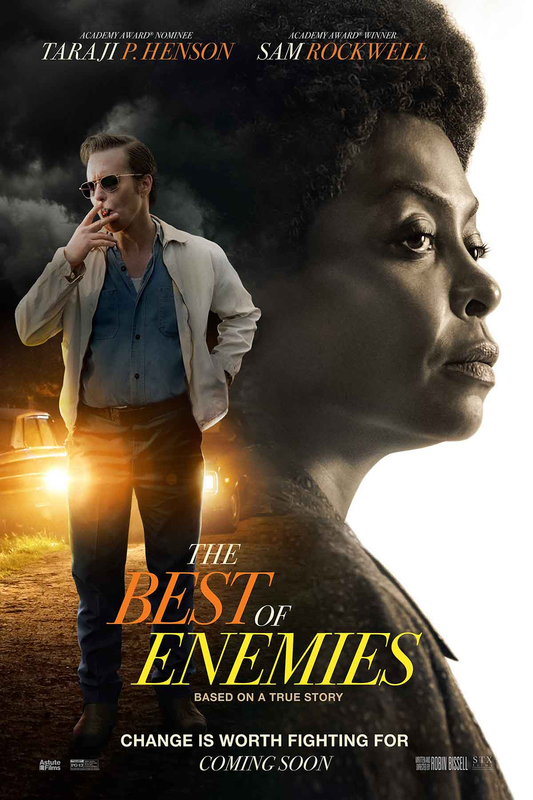 Synopsis Based on a true story, THE BEST OF ENEMIES centers on the unlikely relationship between Ann Atwater (Henson), an outspoken civil rights activist, and C.P. Ellis (Rockwell), a local Ku Klux Klan leader who reluctantly co-chaired a community summit, battling over the desegregation of schools in Durham, North Carolina during the racially-charged summer of 1971. The incredible events that unfolded would change Durham and the lives of Atwater and Ellis forever.